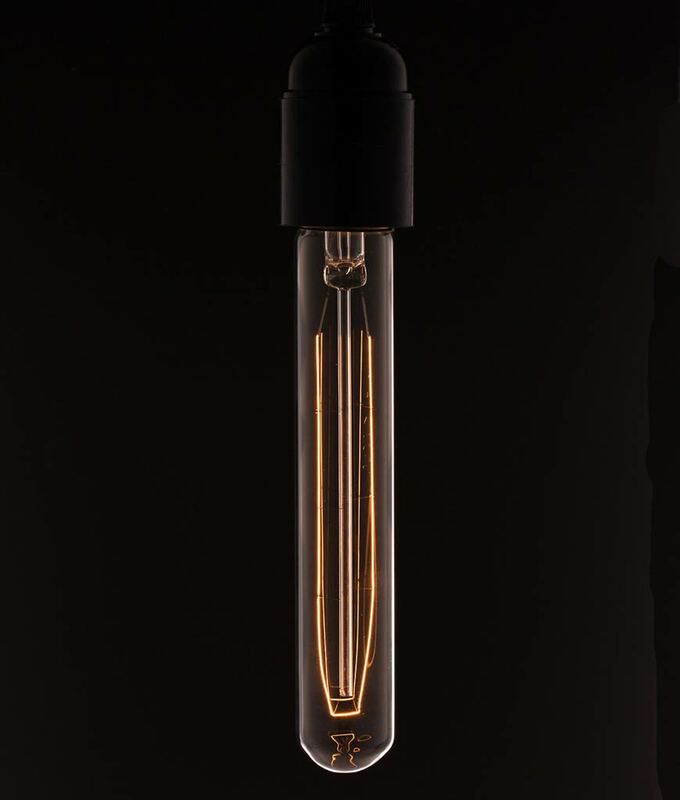 Our tube long filament vintage light bulb is ideal for hanging with others in series from your ceiling. 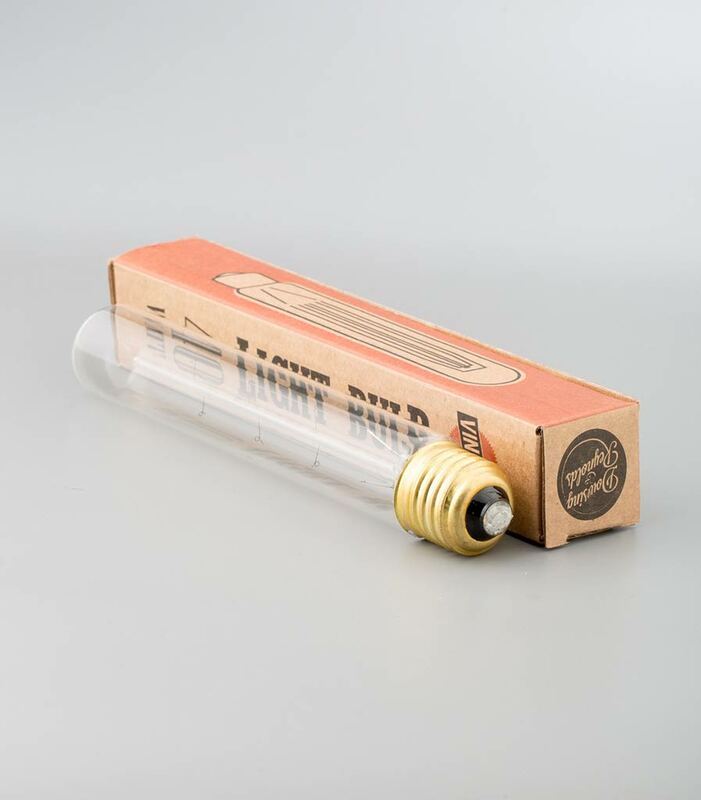 Create an eye-catching lighting display by mixing and matching these rod-shaped filament bulbs with some of our other rustic bulbs, combined they will give off a lovely soft glow to your room. Choose from either E27 screw or B22 bayonet fittings. If you do err on the geeky side of caution then you’ll probably want to hang a number of these tube shaped bulbs in series – mix it up a bit by using different coloured fabric cables – go wild with some acid brights. Smooth, effortless geek-chic.